In the few short weeks since Hurricane Irma impacted South Florida, things still have not returned to normal. There are still people without power in the Keys, and the process to restore power has been slow going. Part of the delay stems from debris-ridden roads and other damage preventing access to power line repair crews. Before repair crews can even access areas without power, the roads have to be cleared of debris. In some areas, the debris is much more than downed power poles and trees. There are appliances, furniture, and even entire sections of roofs lining the roads. In other parts of South Florida, while the power is back on, there are still plenty of signs of damage left by the storm. From flooded neighborhoods to blue tarps going up on damaged roofs, to piles of damaged belongings placed near the road for pickup, people are starting to assess just how badly they were impacted by the storm. Even as insurance adjusters are making their rounds to inspect homes and start on hurricane and wind damage insurance claim processes, some people are being alarmed by what these adjusters are doing. Many have been informed by the insurance companies to look for “fabricated” damages. For example, they are inspecting roofs to see if people attempted to pry up shingles so they could file a claim for roof damage. Granted, there might be a few “bad apples” out there doing this, but, for the vast majority of people impacted by Irma, this is not the case. Yet, some adjusters are “disallowing” certain types of damages because they are saying they think it was fabricated or making excuses, saying it was not covered under the homeowner’s policy. This is creating more heartache and headaches for Florida homeowners who have legitimate damages to repair. In some cases, some homeowners returned to discover they lost everything. The last thing people need right now is to be offered a reduced settlement or, worse, be told their claims were denied. 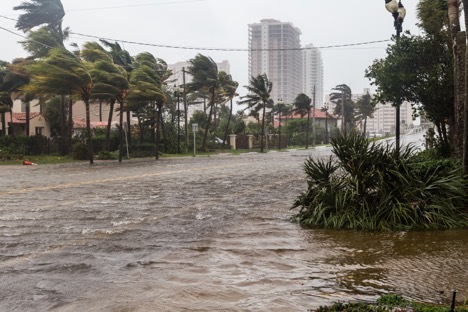 If you are having hassles dealing with your insurance company and getting the results you believe you deserve, then you need to speak to a qualified hurricane damage lawyer for assistance, here at Silver, Brass & Brams. We can provide you with sound legal advice with our free consultation. We understand people are in a hurry to get their insurance claim settlements, but we want to make sure each Floridian is being reimbursed what they deserve. Before you sign a settlement agreement or cash your insurance check, it never hurts to get a second opinion. You may discover your insurance company actually owes you even more money than they initially offered. You will also want to speak with our storm damage attorneys if your claim was denied. In some cases, the reasons for denial may not even be valid. You don’t have to worry about legal fees, either, as we will not collect a dime unless we win your case. To schedule a FREE consultation and find out if your insurance company is making a fair settlement offer, please feel free to call Silver, Brass & Brams at 954-728-9194 today!